Installing a Pelican water filtration system in your home, apartment, condominium, RV, or boat is an easy way to improve the quality of your water. These systems are designed to filter common chemicals and contaminants in hundreds of thousands of gallons of water. 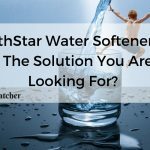 Find out about the various Pelican water filter systems as well as the price of filtration options and media. Our review is intended to guide consumers toward the right water filtration system and clarify the costs of initial installation and regular maintenance. What Is the Pelican Water Filter? Pelican designs water filters that can filter chlorine, chloramines, pesticides, pharmaceuticals, solvents, and other chemicals and contaminants from municipal or well water. Choose from whole house filters designed to provide spring-like water from every tap in your home, including baths, sinks, showers, and water-based appliances such as dishwashers and washing machines. 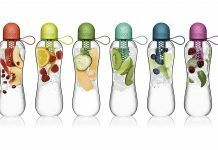 Users will notice the effects of the filtration system in the improved taste of water for drinking, cooking, and brewing beverages. Bathing in filtered water can prevent the drying effects of chemicals on skin and hair and preserve the colorfastness of clothing. Pelican whole house systems are capable of reducing contaminant and particle levels as soon as they enter the plumbing system of a home. This can help to reduce build-up in water lines and appliances, which may prolong the operational life of coffee makers, dishwashers, hot water heaters, and washing machines. Clean filtered water can be dispensed from every water tap without the need for additional under-sink, faucet, or countertop filtration systems or dispensers. You will need to periodically replace the filtration media in the system you choose. Replacement media are available directly from the manufacturer. Choose from a standard whole house filtration system or a model equipped with a Viqua UV Max system for antimicrobial treatment of water. A UV water filtration system also eliminates bacteria, pathogens, and viruses from bathing and drinking water from any tap in your home. Whole house filtration systems are available with pre- or post-filters to further improve the quality of water or adjust the pH level. Regardless of the system you choose, you will need to either arrange for a professional installation or gather the equipment necessary to perform an installation yourself. Pelican also sells installation kits for single and dual-tank standard and UV whole house systems. These kits can save you time and hassle during self-installations and contain quick fittings designed to easily connect to the main water line of your home. Decide on the system you want and the installation method you prefer to order everything you need to improve water quality in your entire house or with a compact system designed for apartments or condominiums. Pelican water filter systems designed for whole house use can reduce chlorine and other particulate in city or well water. These low-maintenance and zero-waste systems are ecologically friendly. While these systems require a substantial investment up front, they can prove to be a great value over time. Systems equipped with UV filtration are slightly more expensive, but can kill 99.9% of bacteria in water. 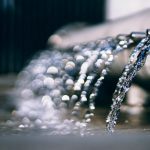 You may also choose a high flow rate or estate system capable of being connected to municipal sources or wells that provide a flow rate of 20 to 30 gallons per minute. Compact Pelican water filtration systems can be ideal for apartments or condominiums. The company offers a 10 inch chlorine filtration system or a 20 inch system that also reduces chloramine levels. 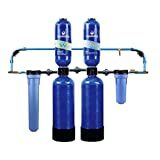 You can also choose a two- or three-stage EZ-Connect system designed to filter fluoride in city or well water. These easy to install compact systems have a maximum flow rate of five gallons per minute, a maximum operating pressure of 100 PSI, and a maximum operating temperature of 100 degrees Fahrenheit. Compact systems are rated for 10,000 gallons or six months of daily use. Between 60% and 70% of municipalities in the United States add fluoride to water, and some wells have naturally-occurring fluoride. 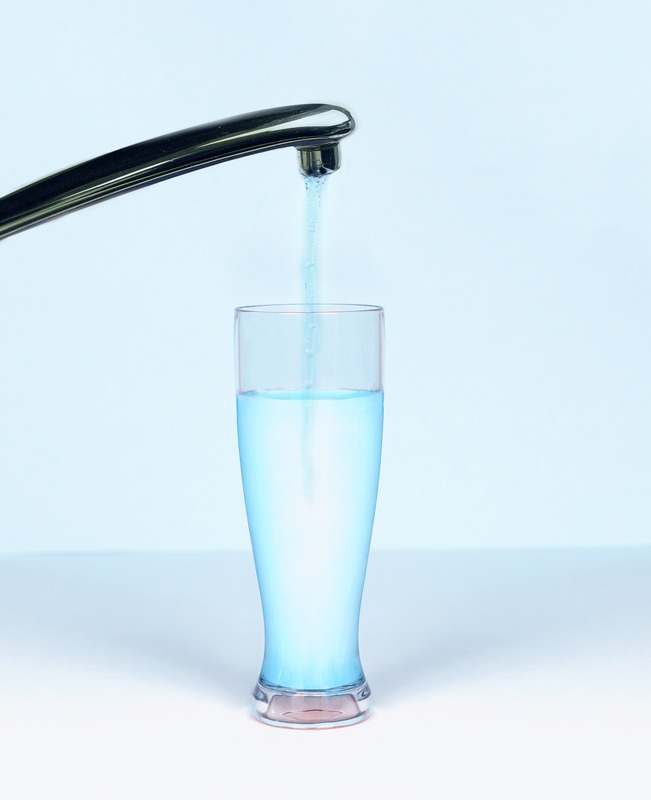 Pelican offers a range of fluoride filtration solutions. In addition to the compact fluoride filtration system mentioned above, customers can also choose a six-stage under-sink reverse osmosis system or a whole house fluoride filter with BoneChar carbon capable of dispensing water at a rate of up to 15 gallons per minute. If you want to further improve the quality of your water and prevent build-up in your primary filtration system, consider a pre- or post-filter system from Pelican. These systems come with all of the hardware necessary for installation, and the company also sells a set of sediment filters and accessories for various systems. Choose a pre-filter system with either 10 inch or 20 inch housing and one inch in and out connectors. The 20 inch housing can also be installed with a 1.5 inch in and out connector to support faster flow rates. Pelican also sells a 10 inch hot water post-filter system for tankless water heaters with 0.75 inch in and out connectors that can be adapted to one inch for higher flow. You can also order a sediment and sand spin-down filter system with an easy-clean flush valve. Pelican whole house systems provide up to four stages of filtration to remove sediment and filter chemicals and contaminants. The first stage consists of a five micron pre-filter that eliminates debris such as sand, sediment, or silt. The second and third filtration stages rely on granular activated carbon media and high-grade activated catalytic carbon to reduce levels of chlorine and other chemicals and contaminants from water. The fourth-stage filter is a media guard with a bacteriostatic copper-zinc reduction oxidation media to prevent and reduce algae and bacteria growth. If you choose a Pelican water filter equipped with a Viqua UV Max system, this additional level of filtration will destroy up to 99.9% of microorganisms without negatively impacting the taste or odor of water. A system equipped with a UV filter can prevent users from having to boil water when boil water orders are issued for a region. These systems are also capable of operating without electricity, which makes them more efficient and reliable in the event of adverse weather or natural disasters. Whole house systems situate the filter at the point where water enters the home's plumbing system to prevent buildup in pipes or water lines, chemical discharge, unnecessary drainage, or wasted water. 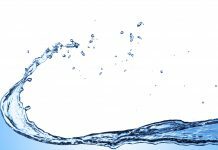 Most of these systems feature filter media that can last for hundreds of thousands of gallons, making these systems more environmentally-friendly and sustainable than other water filtration options. These ready-to-install models are also available with easy installation kits to prevent users from having to rely on expensive installations and lower long-term maintenance and repair costs. Pelican prices are set by the manufacturer, but you may find filters on sale directly from the company or from home improvement stores. Customized systems may be more expensive than the retail-grade systems available at major retailers nationwide. The Pelican whole house water filter system retails for $856, with a sale price of $770.40. A model with an antimicrobial UV filter has an MSRP of $1,518 and sells for $1,366.20. A high-flow option is available for $1,632, and is priced as low as $1,468.80. If fluoride levels are a point of concern, choose a whole house fluoride filter with BoneChar carbon for a recommended price of $1,654 that sells for as low as $1,488. Purchase a single or dual tank whole house installation kit for $140.40 or $182.70, or a kit designed for installing a whole house system with UV filtration for between $198.90 and $212.40 for a single tank unit and $256.50 and $270 for a dual or combination tank filtration unit. These installation kits provide all of the equipment you need for a relatively easy and straightforward installation process and can be more affordable than paying for expert installation. 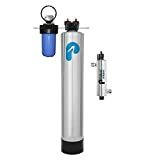 Compact Pelican water filter systems range from $203 for a 10 inch model to $356 for a 20 inch model, and may sell for as low as $182.70 for the 10 inch and $320.40 for the 20 inch system. 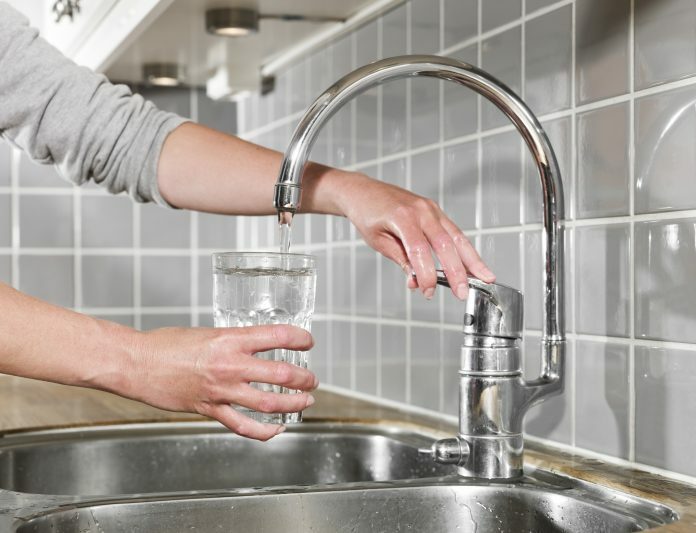 For systems connected to municipal water treated with fluoride, a two- or three-stage system is available with an MSRP of $407 and a sale price of $366.30. Another compact option for consumers concerned about drinking water quality is the brand's six-stage under-sink reverse osmosis system, which has a recommended price of $428, but may be found on sale for $299.60. Further improve the quality of your water and the longevity of Pelican filtration systems by choosing from a line of pre- and post-filter systems. A Pelican pre-filter is available for an MSRP of $111 and a sale price of $99.90. A hot water post-filter system for tankless heaters has a recommended price of $183 and sells for $164.70. Reduce build-up with a sediment and sand spin-down system designed for either city or well water for the affordable price of $89, or $80.90 on sale. 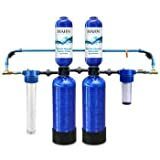 A set of replacement sediment filters and accessories for various Pelican systems is available for $75 or as low as $67.50 on sale. You can order replacement media for any Pelican water filter directly from the manufacturer. Carbon replacement media should be switched out every 600,000 to 1,000,000 gallons of water usage or five years, whichever comes first. This media has a recommended price of $235 and may sell for $211.50 on sale. Replacement carbon media for high-flow or estate systems sells for $396.90. Fluoride filtration media is more expensive, with an MSRP of $606 and a sale price of $545.50, and has a shorter operational life. Switch out fluoride media every 300,000 gallons or three years. If you rely on a Pelican pH neutralization system, you can purchase a replacement calcite media for $216. If your system is designed to treat water with extremely low pH levels, you can replace the soda ash media for $150.30. There is no specific operational rating for these systems. Periodically perform pH testing on your water and replace the media when the results are outside of the desirable range. Although Pelican systems and media may be slightly more expensive than some competitors, most customers agree that these systems are highly functional and provide great value for the investment. If you want to have high quality water, you should invest in a Pelican filtration system and regularly replace the media. Aquasana Premium Rhino removes 97% of chlorine for up to 1,000,000 gallons . Whether you want to reduce levels of chlorine, chloramines, fluoride, or other contaminants or particulate in water, you can find the right home filtration solution from Pelican. 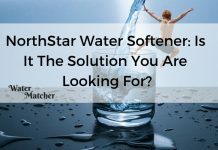 The ability to choose from whole house or compact systems and filters designed to reduce certain types of contaminants or even kill bacteria with UV technology sets this water filter brand apart. Even though Pelican systems may require a significant investment up front, these systems stand up to the brand's high specifications and are comparatively easy to install and maintain. Replacement media may cost slightly more than other brands’ or third-party replacements, but genuine Pelican water filter components are guaranteed to perform for more than hundreds of thousands of gallons and years of use. The Pelican water filter ensures homeowners clean and safe drinking water by eliminating various chemicals and contaminants. It features a UV filtration system that can eliminate up to 99.9% of microorganisms.